Davidoff has announced its series of 2019 Exclusive cigars for select retail and distribution partners. This includes a series of store exclusive and regional releases. 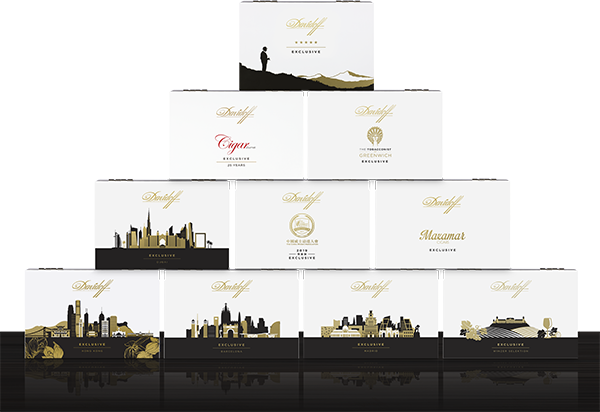 “Davidoff Exclusives are extremely popular among our partners as this programme allows them to offer aficionados exclusive, custom-made blends catering to the local taste preferences, and presented in beautiful personalised boxes. Our master blenders are pushing the boundaries of taste every year and manage to develop new and exciting blends every time. This year is no exception and we are sure aficionados will be delighted by our 2019 Exclusives cigar selection.” commented Edward Simon, Chief Marketing Officer at Oettinger Davidoff AG in a press release. Each Davidoff Exclusive offering comes in a 5 x 52 Robusto size. Specific blend details have not been disclosed other than the cigars use a multi-national blend which includes tobaccos from Mexico, Nicaragua, Ecuador, and the Dominican Republic. Each offering comes in a ten-count white lacquered box with gold foil designs. The artwork contains adornments representing geographic landmarks relating to the region or retail partner. The series is set to launch at select Davidoff Appointed Merchants and Flagship Stores representing the countries, regions, or retail establishment named above. « Cigar Industry Report: Edition 325 (4/13/19)	» Cigar News: La Aurora 115th Anniversary Limited Edition Cigars Hit U.S.